Owning a high value or waterfront home in Florida means needing home insurance that you can count on. Coleman Insurance Agency has been offering solutions to high value or waterfront homes for over 40 years. With our years of experience, we are able to ask the right questions and offer advice to help you make the best decisions. Our personal knowledge of Florida insurance allows us to help you design comprehensive insurance coverage that meets your personalized needs. Our agents will take the time to explain the choices between cost, coverages, and deductibles so you can understand the options and make an educated decision about your policy. Call us for a competitive homeowners insurance quote or if you prefer, use our convenient quote form below or call us at 727-441-9911. Many factors can affect the insurance you need for your high value home. We can advise you based on your situation. Do you own other homes, do you have a staff, home location and does your family live there year round? We can also suggest additional policies that bundle adequate protection for your specific needs such as excess flood, liability, and how to provide you with an effective and comprehensive insurance package that protects your specialized assets such as watercraft, auto fleets and private collections. Our clients can save money and get superior coverage for your unique assets by tailoring the policies to reflect the real cost of recovering from a loss. Waterfront homes are a specialized form of home insurance and Coleman Insurance agents are experts at navigating the intricacies of it and have a long history of taking care of clients with waterfront homes. We are a service oriented agency that chooses our carriers carefully to make sure that are customers are taken care of if they need to file a claim. We understand all the aspects of waterfront home insurance and will strive to get you the best coverage for a fair price. Because we work with the best carriers and are knowledgeable about high value and waterfront home insurance, many clients find they save money while knowing they have superior coverage. 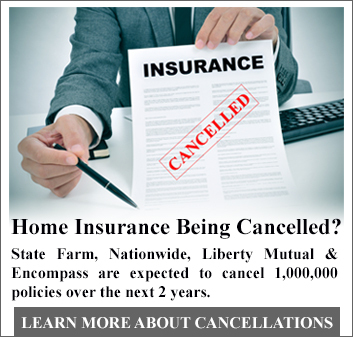 Call today to get a review of your current home insurance policy or for a quote if you are buying or building. Your home is spectacular and you want to know that it is protected if a disaster strikes. Call Coleman Insurance Agency today for a no hassle quote on high value or waterfront home insurance.